Ticking the Bucketlist » Bali: Where to Stay? Bali is an island paradise. Needless to say, pretty beaches are all around. However where you want to stay can determine the way you perceive the island. It can be an ocean of quietude, a paradise for sea food lovers or a place to let your hair down and dance through the night. You just need know what you want to do… and thus where you want to stay. We spent the first couple of days in Nusa Dua and Ubud and thought that Bali is the ideal destination for people like us who want to take things easy on their vacation. However, when we reached Kuta on a Friday night, our perception totally changed. Kuta was buzzing with nightlife! This area was developed by the tourism department to set up resorts in order to attract tourism. Southern Nusa Dua is occupied by super premium hotel complexes like the Samabe, Melia and the Ritz Carlton. We re-lived our honeymoon at the Samabe and were pampered like royalty. If romance is in your soul and Bali is your honeymoon destination, head to one of these properties. While the come with a heavy price tag, honeymoon sure is a special occasion and totally worth the indulgence. We spent most of our time at the Grand Mirage Resort and Thalasso Spa. Northern Nusa Dua had all that one would need on a family get away… restaurants within walking distance of the resort, private beaches, activities for children and water sports. While night life is restricted to a few restaurants in the vicinity, it was easy to get a cab to get to Kuta or Jimbaran. Facilities in our resort were top notch, and most resorts in the area have well maintained lawns and private beaches. 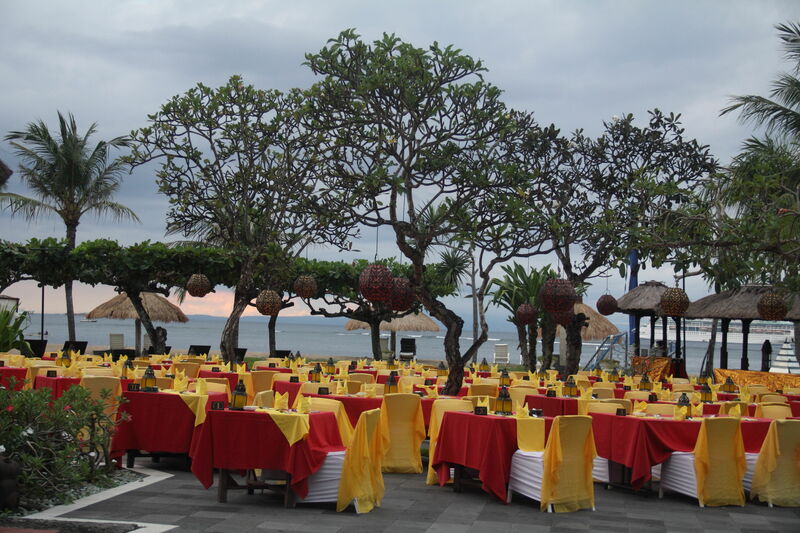 Icing on the cake – these resorts are priced moderately when compared to those in Southern Nusa Dua. Ubud is known as the cultural capital of Bali. This little town amidst rolling hills is famous for it’s stepped rice terraces. However, there is more in Ubud than just the terraces… there are plenty of temples, yoga centers, shopping areas and coffee plantations. There are shows that exhibit the cultural dance forms and local traditions and open the doors to the traditional Balinese world. 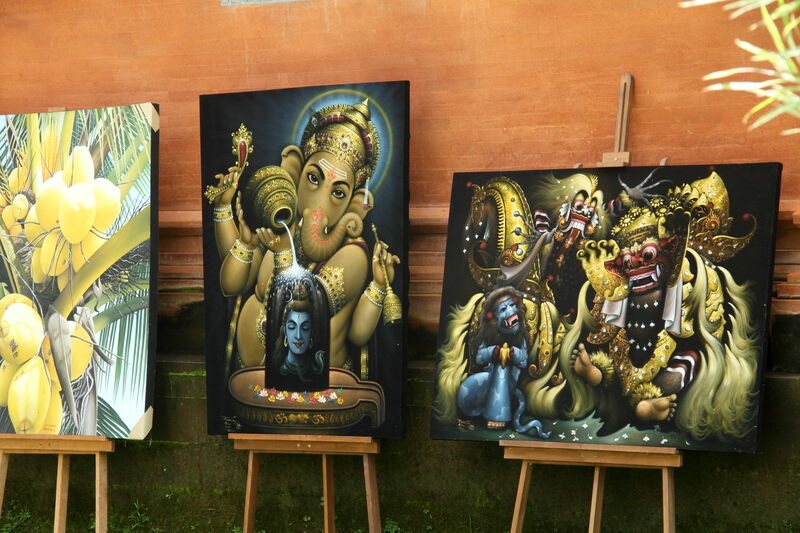 The Balinese Hindu temples are very different from the Indian Hindu temples. I could have spent a couple of days only in Ubud soaking in the local culture but our short break did not allow that much liberty. Here is the link to our post if you wish to visit Ubud in a day. Ubud is also the place to be if yoga and detox is on your mind. The greenery all around soothes your eyes and your mind. You can feel the freshness of the air that you breathe. For the budget traveller… take up a room in one of the many bed and breakfasts in the Monkey Forest area to blend in with the local culture. For the luxury traveller… book yourself in one of the luxury resorts a little outside Ubud town and enjoy the peace and solitude. Obviously, stay on the Western side of the island. Crowds flock to Kuta to see the sunset, which makes the beach way too crowded thus squeezing out any possibility of making it a romantic sunset. 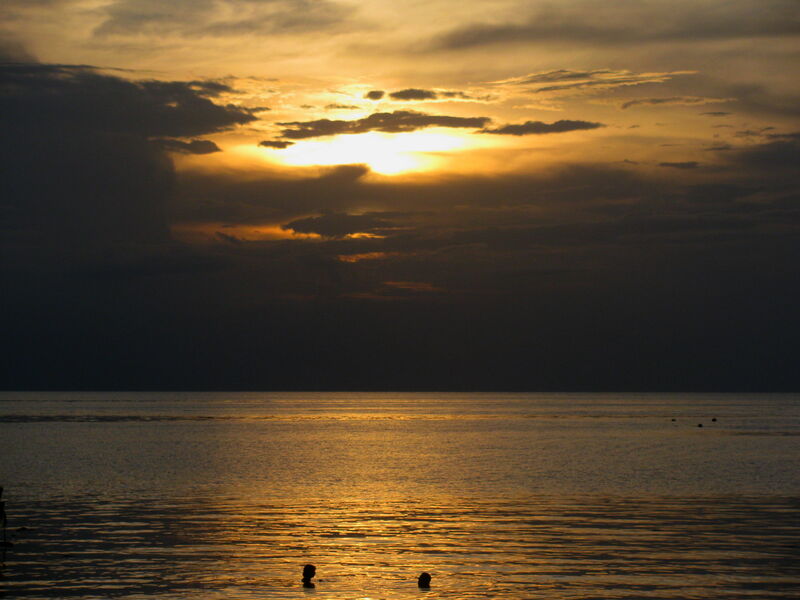 If a romantic sunset is what you desire, head to the sea side at Jibmaran. There are plenty of bars and sea food restaurants here that will set the mood right as you watch the sun go down. Like night life? Then you will love Kuta! The area is lined with restaurants, night clubs and massage parlors. We reached Kuta late at night (about 11 pm) on Friday, and the party was just starting. Clubs are open until wee hours of the morning and the music is pulsating. If you are young at heart and are in Bali to let your hair down, Kuta is a the place for you. Kuta public beach is amongst the most crowded beaches in Bali, for a reason. There are sun loungers available on rent during the day and water sport activities keep everyone busy. If learning surfing is on your bucketlist, Kuta is good place to give the sport a shot. Are you a SCUBA diver? Is the SCUBA certification on your bucketlist? 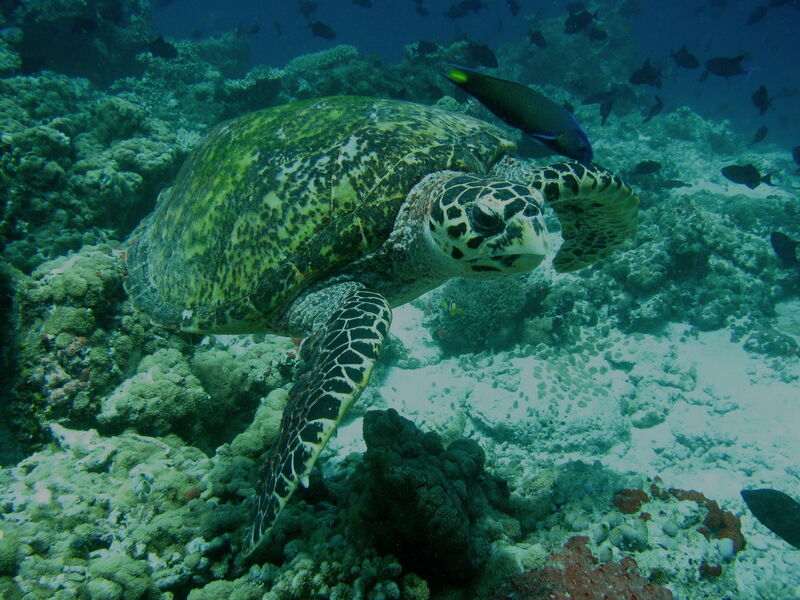 The warm waters that wash the shores of the island are apt to explore the undersea world. North Bali is well known for it dive sites. Visibility is between 15-25 meters and there are sites to suit all levels, whether you are a novice or an advanced divers. North Bali has accommodation to suit all budgets – diving only resorts for back packers and budget travellers as well as luxury resorts that have their own dive school and private beaches. We would recommend spending at least 2 days along the beach to enjoy Nature’s bounty and at least 2 days in Ubud to take a peek into the cultural world and explore the nearby areas. Send us an email if you have any queries. Let the travellers’ tribe grow! A nice little breakdown of the main places in Bali. I happened to have visited Bali on my honeymoon so at the time Nusa Dua was the IT place. Now Seminyak has come up in a big way incorporating beach parties and luxury resorts. I agree that someone traveling to Bali should divide the time between Nusa Dua and Ubud as the latter often gets lefts behind being away from the sea. Kuta for me had a very Goa like vibe, so not that impressive. Ok, I need to book a flight! That resort looks incredible! And,I love scuba diving, so I’ll need to go to North Bali, for sure! What company did you use? I’ve never been to Bali yet. So thanks for your suggestion. 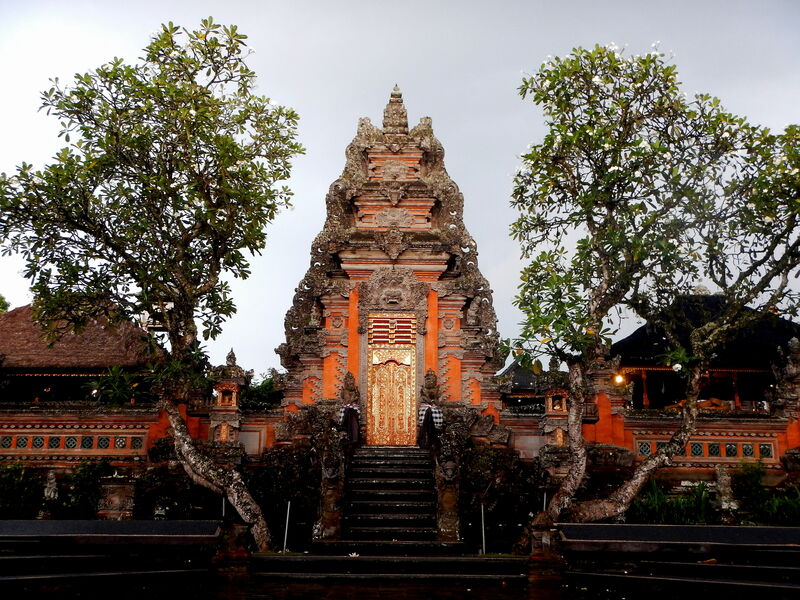 My friend spent her honeymoon at ubud and loved the place. Hope to visit Bali soon. I read a lot about Bali before my trip to South East Asia, because we were thinking of adding it as our beach break, but we went another route. I love how you broke this down. It would be my luck to book accommodations in the family friendly area when I’m really looking for more of the honeymooner vibe. 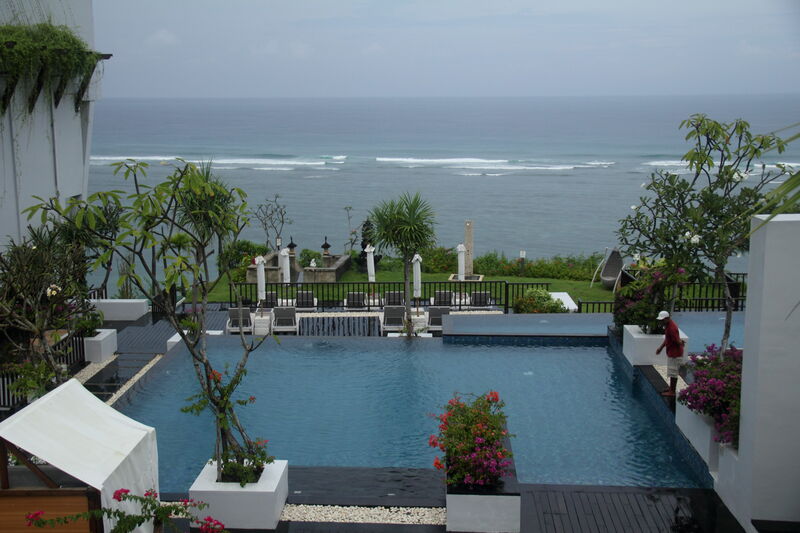 So many great options at Bali – what I love most is that the accommodation is the destination itself. So much character and aesthetics! The culture is also breathtaking, we actually featured a glimpse of that in one of our latest travel films! Someday I hope to get to Bali! It just looks like such a great paradise. I love the suggestions based on travel style. I think North Bali would suit me as I would love to scuba and see turtles and other ocean wildlife. Very nice article about all that Bali has to offer! We haven’t been but if we ever happen to go, now we know where to go! Thanks for sharing! Absolutely stunning pictures and glad you got to experience it to the fullest! Great list! I’ve never been to bali before. I think ubud is my kinda place.